Casseroles in a traditional Mediterranean diet are packed with flavour, with the use of herbs and beautiful produce like capers and olives over salt and cured meats. This makes them a much healthier option for any night of the week, and as dietitians we believe this is a great approach to cooking (and eating). This Mediterranean Chicken Breast Casserole is a beautiful weeknight meal, with the use of chicken breast making this dish a lower calorie and lower fat option. 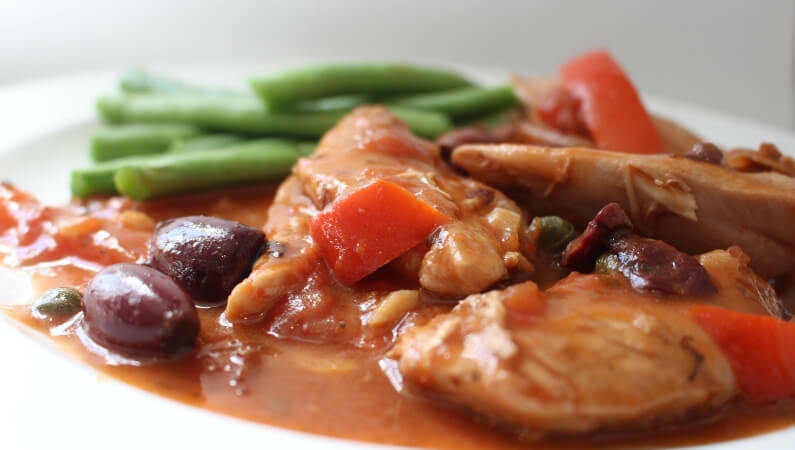 This recipe uses a sauce-first approach, allowing the sauce to thicken and flavours develop in the simmering, before adding chicken back in to cook until tender. The result is a healthy yet hearty casserole which can please the whole family. If you have your own chicken stock frozen, feel free to use that. We love Momo’s free-range chicken stock, but really, any additive free chicken stock is great. Use a good quality red wine for cooking as you will taste the difference in the end result. 6-8 free-range chicken breast fillets, cubed or approximately 12 tenderloins. In a large casserole dish or heavy-bottomed lidded pan heat 1Tb oil over a medium-high heat. Cook chicken in batches until nicely browned on the outside only, leaving partially uncooked. Transfer to a plate. Turn temperature down medium to low, add 1Tb olive oil, and cook onion approximately 6 minutes until caramelised. Add garlic for last 3 minutes. Stir in the tomatoes, paprika, thyme and oregano, cooking for 5 minutes. Add chicken stock, wine and capsicum, stirring. Bring to the boil, then reduce heat to a simmer. 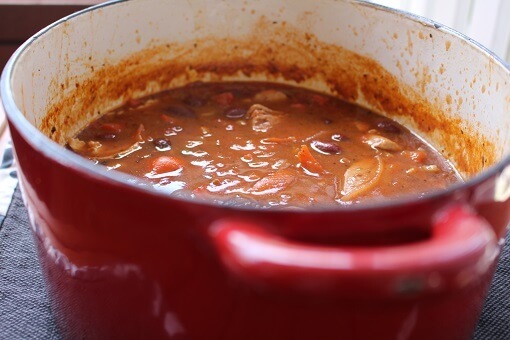 Simmer for approximately 20 minutes to allow the flavours to develop and sauce to reduce. At this stage, if your sauce is not thick enough, you can thicken it with flour by making a ‘slurry.’ Start with approximately 1 Tb plain flour and a splash of water to make a paste. Add in 1 tablespoon of the hot sauce. Whisk until smooth before pouring the mixture back into the sauce. Let the sauce simmer and thicken for approximately 1-2 minutes. Repeat process if necessary until your desired consistency is achieved. Allow chicken to cook on a medium to low heat until cooked through but still tender – approximately 15-20 minutes. Stir in capers and olives and squeeze in lemon. Simmer for a further 3 minutes before removing from heat to serve. Serve with fresh green beans or asparagus drizzled with an extra squeeze of lemon. Want more inspiration for healthy, flavoursome food? Come along to our Mediterranean Diet Expo in Brisbane on October 21. We will have a range of cooking demos going on throughout the day, including a Greek Soup in the Thermomix; Moussaka; Greek coffee; and a demo on putting together the perfect Mezze Platter, complete with delicious wine! Experience a range of wonderful producers who can help you easily implement this diet. 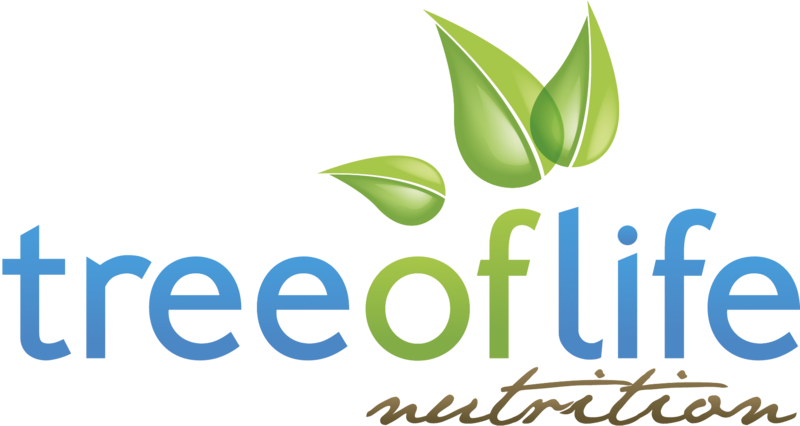 Hear all about the concepts of Mediterranean eating from Tree of Life Nutrition’s Dietitians Desi Carlos and Lisa Peterson (Two Greek Girls Cooking). Learn how the Mediterranean Diet can seamlessly fit into your life for optimal health and vitality. As well, we offer you talks throughout the day from experts in the field of health and wellbeing on how beneficial this way of eating and living is for a long and healthy life.